All Local Authorities have a statutory duty under Section 436A of the Education and Inspections Act 1996 to make arrangements to enable them to establish (so far as it is possible to do so) the identities of children residing in their area who are not receiving a suitable education. In relation to children, by ‘suitable education’ we mean efficient full-time education suitable to her/his age, ability and aptitude and to any special educational needs the child may have.” These responsibilities are also in place in order that children are safe from harm. Going missing from education for any reason is damaging to the well-being of a child/young person, but of even more concern is when the disappearance from school is an indication that a child/young person’s safety is at risk. The Local Authority also has a duty to have in place robust procedures to track and trace children who go missing with their families from Bradford schools. Children Missing Education - Guidance for Schools describes the actions schools should take if a pupil stops attending and their whereabouts are unknown. Improving information in identifying children missing education. Following the recent consultation on the amendments to the Pupil Registration Regulations. The amendments came into force on 1 September 2016. • provide information to their LA when registering new pupils, including the pupil's address and previous school (again where they can reasonably obtain this information). In addition, the proposed amendments will give LAs the discretion to require the same information on standard transitions, which occur when a pupil reaches the final year of that school. There are two other proposed amendments relating to sections 8(1)(f)(iii) and 8(1)(h)(iii) of the Regulations which will require ’reasonable enquiries’ to track down a pupil’s whereabouts to be performed collaboratively between the school and LA, rather than separately. How we will manage this? 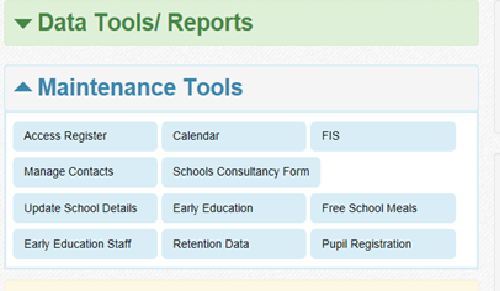 We have designed a web based pro-forma which will be accessed via a secure log in on Bradford Schools Online. For a child being removed from the school roll. Basic details of the child, name, DOB, UPN etc. In the case of a missing child it will prompt you to make a Children Missing Education referral to the LA. We will ask you to provide details of the child’s previous school – it will also ask if you have informed that school of the admission and received the child’s common transfer file. A number of fields on the pro-forma will be mandatory and the form cannot be submitted without these fields being completed. Checking 'yes' when asked the question 'Has a CME referral been made to the ESWS' does not automatically generate a referral. You are still required to complete an ESWS referral form detailing why you believe the child and family are missing from education and the steps you have taken to establish the whereabouts of the child. Page owned by Waheeda Shah, last updated on 29/03/2019. This page has been viewed 15,915 times.